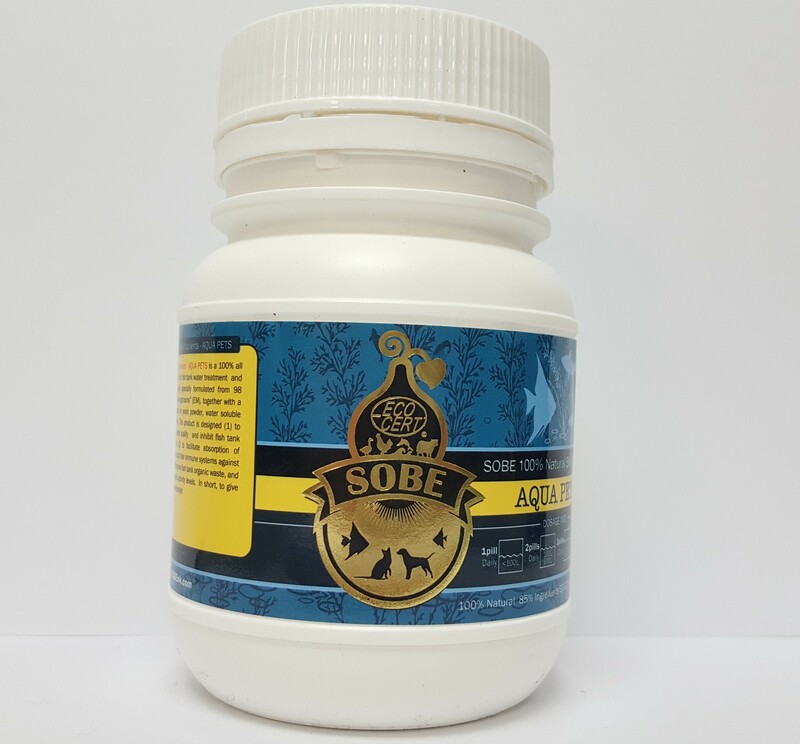 SOBE 100% Natural Bio-Nutrients AQUA PETS is a natural nutrient probiotics for fish tank water treatment and aqua pets nutrient supply, specially formulated from 98 beneficial “Effective Micro-organisms” (EM), together with a biotech formulation based on yeast powder, water soluble chitoson and corn powder. It is designed to give aqua pets a healthy and active lifestyle! 3. Each gram of SOBE 100% Natural Bio-Nutrients AQUA PETS contains over 5 billion beneficial micro-organisms. 1. Help to stabilize fish tank water quality and inhibit fish tank disease-causing bacteria. 2. Facilitate absorption of needed nutrients. 3. Strengthen their immune systems against diseases. 4. Help to decompose fish tank organic waste. 5. Raise the energy and activity levels of fish. Please avoid expose to sun and water.Zipped and stored in fridge after opened. Best before 6 months after opened. Please turn on the air pump or oxygen device to increase the oxygen solution in water.